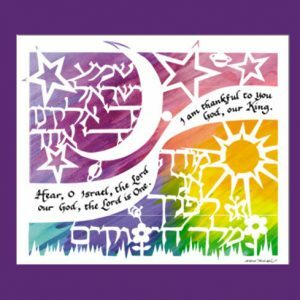 Categories: For Parents and Grandparents, Jewish Wedding Gifts, Ketubah: Jewish Marriage Contract. 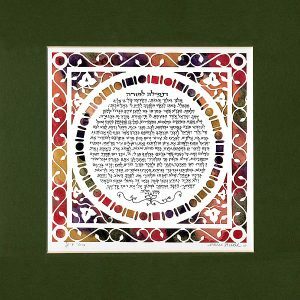 Tags: Israel Ketubah, Jewish Art, Judaica, Ketubah, Marci Wiesel, Papercut, Papercut Ketubah, Persian Window Ketubah. 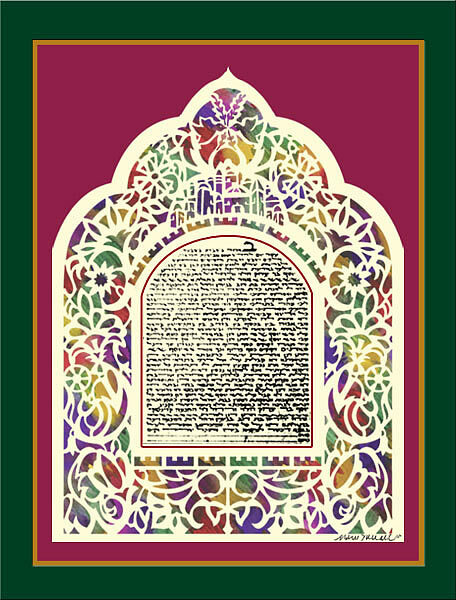 This lovely Persian Window papercut ketubah is rendered in the traditional style of a Persian window with a multi-colored border and intricate papercut weave overlaid. 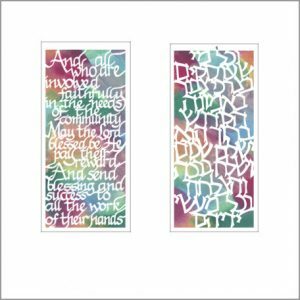 This Israel ketubah, created by Judaica artist Marci Wiesel, creates a magnificent, appealing artwork. 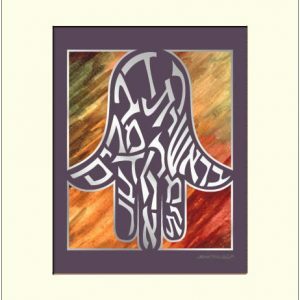 Proudly display your marriage contract and expression of your love through Judaica paper cuts.